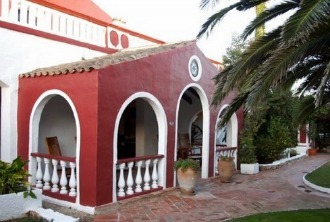 Finca Gabiel is some 4 km from the airport, between Mahon (8.5 km) and Es Grau (11.7 km). Biniai Nou offers 8 rooms on a farm with agricultural cultivation and livestock breeding. The property is 5 kilometers from the capital of Mahon. You can see remains of archeological finds right on the finca from a period of 2100 BC. 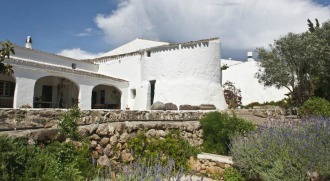 The farm is 1.5 kilometers from the village of Sant Climent. Sant Joan de Binissaida is a rural hotel in a XVII century house in the area of Binissaida, very close to the harbour of Mahon. This 200 hectar-farm lies near the Natural Park of S'Albufera d'es Grau. It has one room in the interior of a XIV century watchtower. Alcaufar Vell provides 12 rooms. 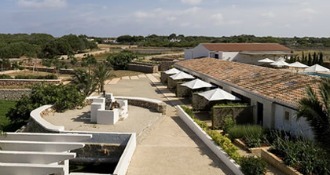 The farm is situated in the South-East of the island of Menorca, surrounded by a dense wooden ravine. This small agritourist place lies on the Binissafullet road between the fishermen's villiage of Binibeca and Binibeca and Binibeca Rothers. 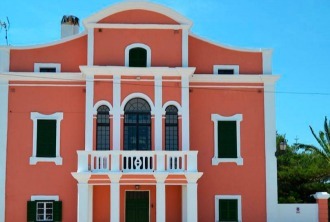 The house of Lluçmacanes Gran, restored in 1997, features 7 rooms. There are cows, pigs, sheep, hens and rabbits as well as an eco-orchard. It is situated right next to the Sant Gaieta church. Binisaid lies on the road between Ferreries and Cala Galdana, (KM 4.3) on the righthand side. Right across the road, there is the entrance to a riding stable. Son Triay is on the same road as the before-mentioned Binisaid, at 2.5 km from the Ferrerias junction leading to Santa Galdana. 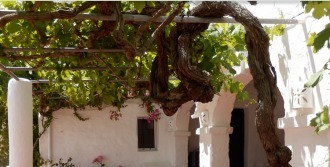 Ca Na Xini, situated in the Hort Sant Patrici, is a wine and cheese producing farm. Small quantities of olive oil are also produced. It is an adults-only place. This rural hotel on a 89 hectare area provides 6 double rooms, 9 first-floor rooms and 5 suites. It is located at less than 1 km from the village of Es Migjorn Gran. Some 15 minutes away you’ll find the huge natural cave Cova des Coloms and the beach of Binigaus is only 20 to 30 minutes away. 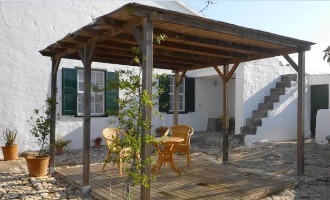 The farm house, first built at the end of the XIX century, was extended in 1923 and is newly refurbished. It has 2 twin rooms and two double rooms. The 75 hectare property lies between the villages of Alaior and Es Mercadal in an area called “Es Plans d'Alaior”. Ses Sucreres is a small hotel in Ferrerias and has 6 rooms. It is not a farm house and was only included in this list because of its quiet location and exquisite decoration. Formerly sweets for children were made in its shop. 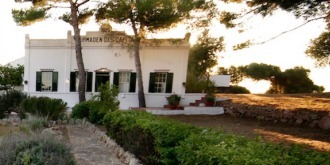 The 75 hectare Finca Atalis is situated at the sea, at the end of Santo Tomas towards Son Bou. Besides agritourism, it cultivates corn and fodder. At the south, the property offers a view to the stretch from the beach of Atalis all the way until the beach of Son Bou. 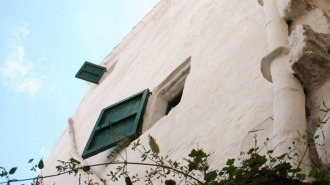 Biniatram is on Menorca’s North coast, at about 700 metres before Cala Morell and 7 km from Ciutadella. The farm rents out 8 rooms and 7 appartments. 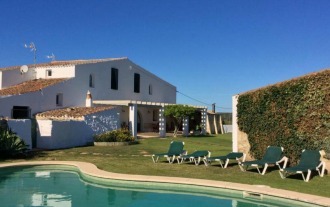 This farmhouse is about 7 km from Mahon, near Sant Climent, it has 4 bedrooms and sleeps 7 people. The airport is 4 km away. The rutal hotel Morvedra Nou (Nou = New) is located at the access road to the natural beach of Macarella. 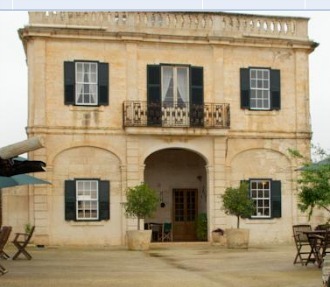 The main building, built before 1650, was converted into a 4-star hotel and features a bar, restaurant and outdoor pool. The place offers bicycle hires and other leisure activities and, last not least, a breaktaking view to the sea. 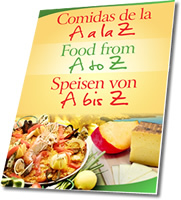 Download this trilingual gastronomical glossary to quickly find out what's on the menu. Feel free to add whatever you'd like to say about these places, Menorca in general or any other suggestions.